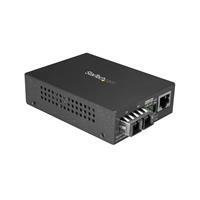 This fiber media converter extends a Gigabit Ethernet (1000Mbps) network up to 550 m over multimode fiber, on 1000BASE-SX networks. 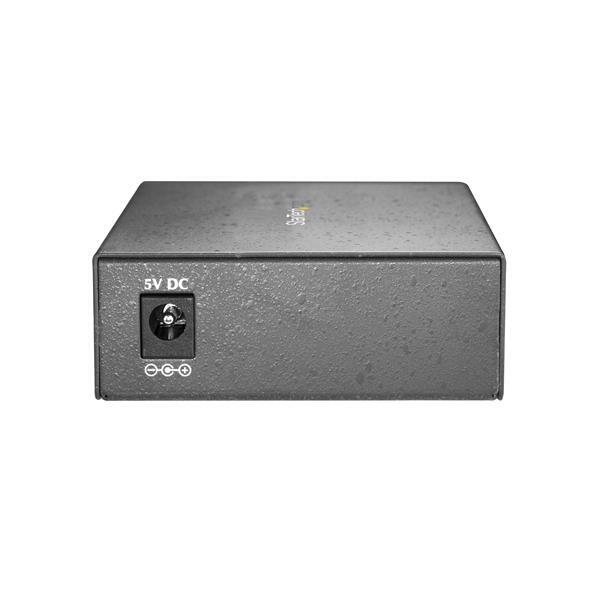 The fiber media converter offers a cost-effective way to transparently convert copper to fiber, or fiber to copper, for connecting remote sub-networks to larger fiber-optic networks. Providing both SC fiber and RJ45 Ethernet ports, it integrates easily into a wide range of Gigabit Ethernet network infrastructures. The RJ45 port supports triple-speed (10/100/1000 BASE-T) auto-negotiation. 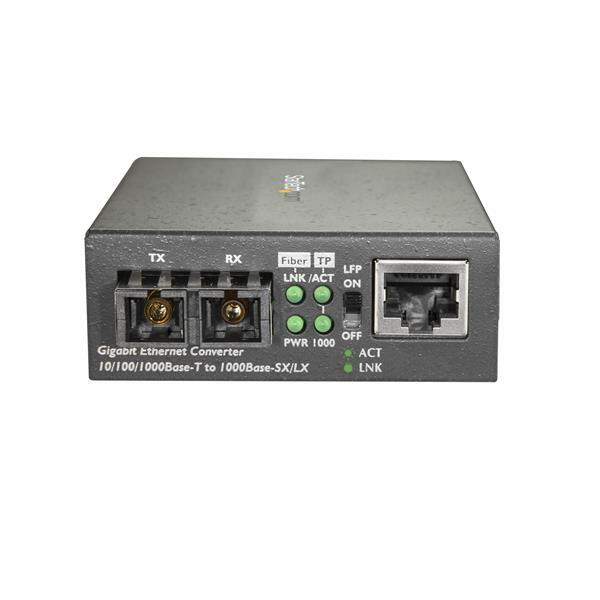 Supporting a maximum multimode fiber-optic cable distance of 550 meters (0.34 miles), the media converter delivers a simple and reliable solution for connecting Gigabit Ethernet networks to remote locations over multimode fiber, while ensuring solid network performance. 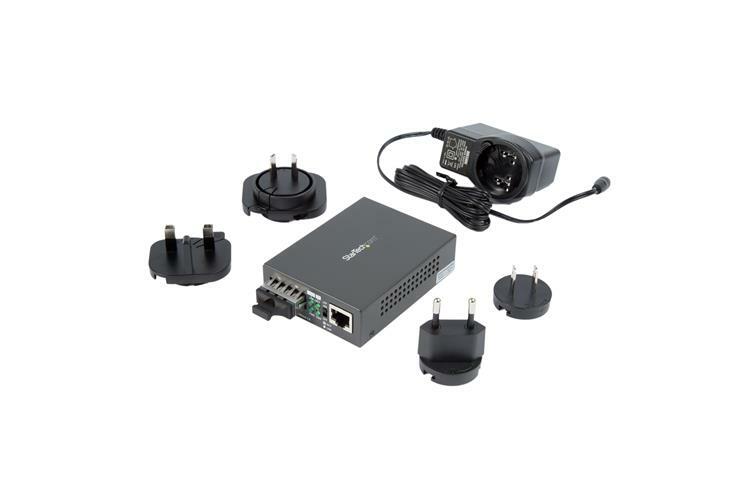 It provides optimum network scalability for connecting two or more Ethernet network nodes, for instance, connecting two buildings on the same campus or facility. 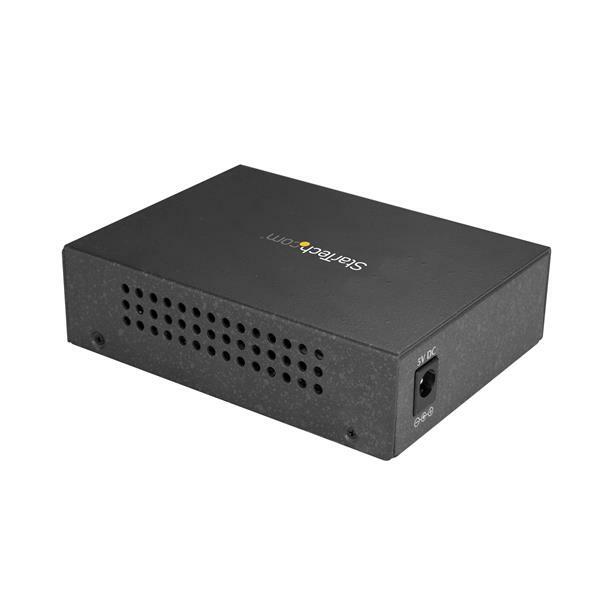 The media converter also offers high-speed bandwidth to meet the increasing demands of large-scale workgroups that require expansion of a Gigabit Ethernet network. The MCMGBSCMM055 is backed by a StarTech.com 2-year warranty and free lifetime technical support.